Crows and their relatives — ravens, jays, magpies, and rooks — are famous in folklore and myth for their intelligence as well as their enigmatic stare. Current science can explain and provide evidence that suggest crows can think and reason like a young child, a new study finds. Based on Aesop’s fable The Crow and the Pitcher, researchers from the University of Auckland tested New Caledonian crows’ understanding of water displacement and how to use this to solve a problem. In the fable, a crow drops pebbles into a pitcher that is half-filled with water. It continues to drop pebbles until the water level is high enough for the crow to drink. 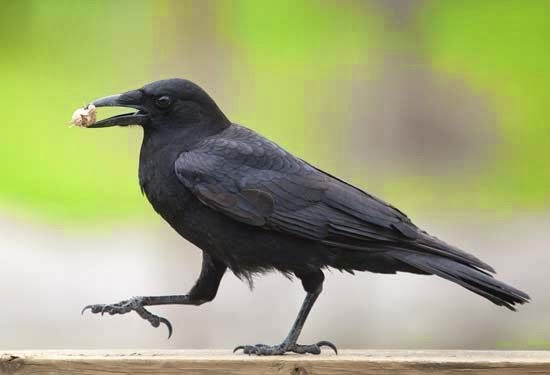 Likewise, the experiment required the crows to do the same to get a reward, which is a piece of meat attached to a floating cork. Researchers put six New Caledonian crows through six different experiments that involved water displacement. After the birds were given a week of training, they passed four of the tests, which include dropping stones into a water-filled tube rather than a sand-filled one, dropping sinking objects instead of floating ones, dropping things into a tube that has a higher water level than a lower one, and using solid things instead of hollow ones.